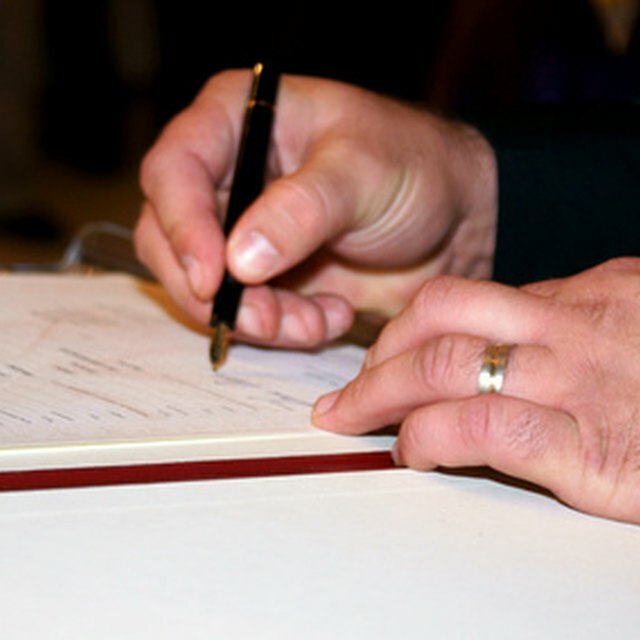 Writing a letter to refuse a formal invitation can be tricky. It is necessary to respond so that the person or business inviting you knows that they shouldn't be expecting you. The challenge comes with writing the letter in such a way as to not offend or make the other party think that you are just trying to get out of coming to their event. Careful wording and a keen eye toward detail will make sure that the recipient receives the message in the spirit intended. Start your refusal letter off with a salutation. Decide how you want to address the recipient. If this is really formal and you don't have a day-to-day relationship with the person, address him as a "Mr." or "Mrs." Only use the first name in a formal letter if you are sure that this is acceptable. Be honest. Don't make up extravagant stories explaining why you can't attend. Tell the truth in the most concise way possible. Explain in a sentence or two the reason you won't be in attendance. Use words like "regretfully" or "unfortunately" to indicate that you wish that the situation could be different. Express your appreciation for the invitation. Thank the recipient for thinking of you. This will ensure you aren't permanently removed from the list for future events. Close your letter by expressing best wishes to the recipient. Let him know that you hope his event goes well. Close the letter with a "Sincerely" or simply thank the recipient once again. Sign your name with a pen. This shows that you personally took the time on the letter. A printed name is too generic and may make the host think you are too busy to take the time to properly respond to his invitation. Read the letter aloud. Make sure it has the tone you wish to express. Make any changes and then mail the letter. Honesty is the best policy in refusing an invitation. You don't want to be caught in a lie that might sever a good business relationship.